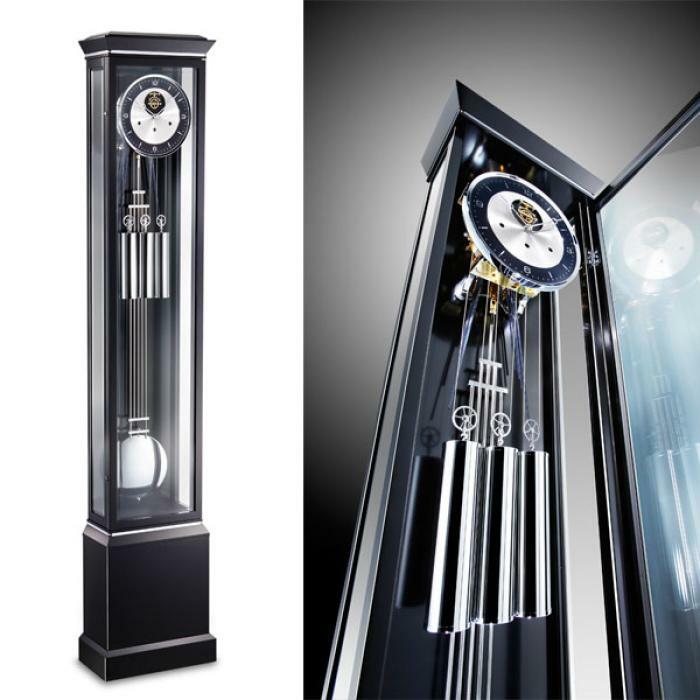 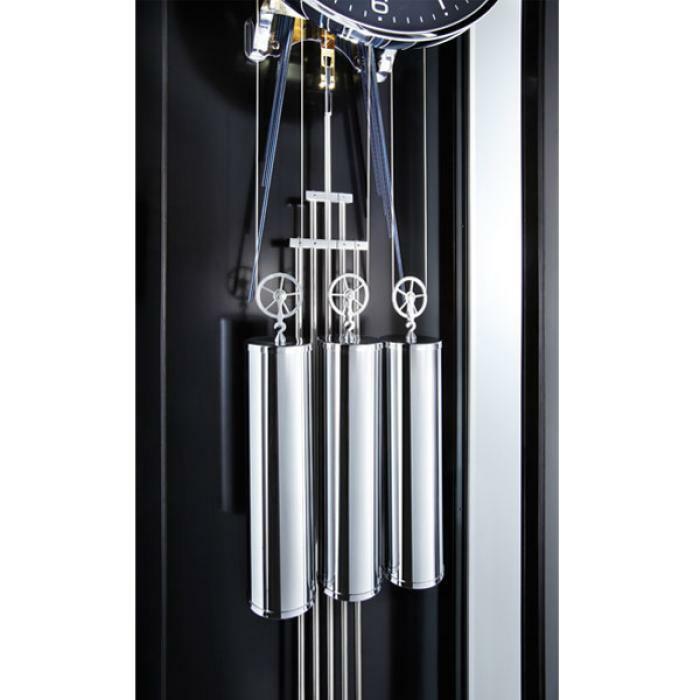 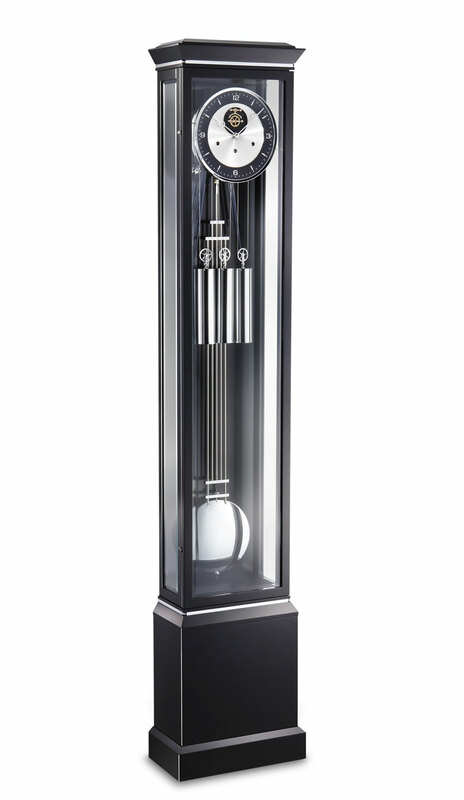 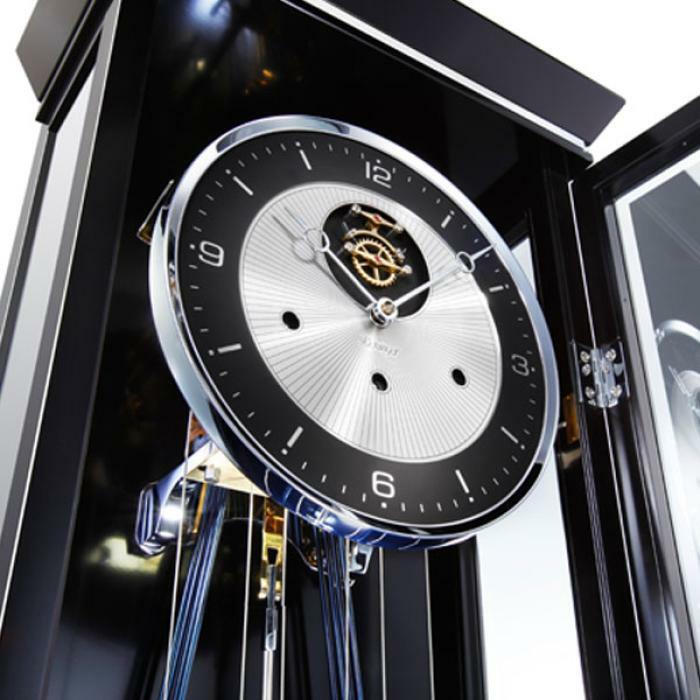 Meticulously crafted, elegant floor clock in handpolished black finish with fine chrome steel accents in pediment and base. All beveled crystal glass. Unique, etched and silver plated dial face 24 cm and superbly crafted, open sta-tionary escapement (Graham) with Kieniramic® anchor pallets. 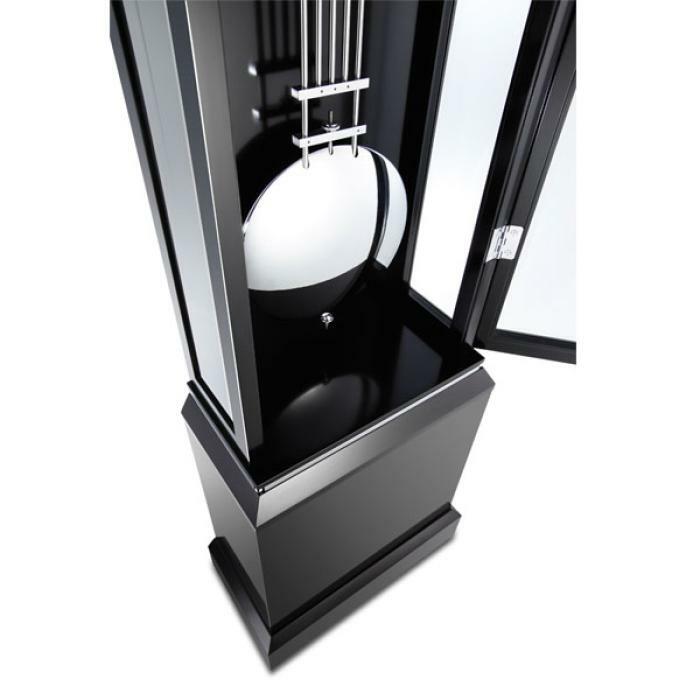 Chrome plated compensation grid pendulum with precision adjustment.